With our brand new application you can erase your data really quickly and effectively. Finally! While we are strong enough in battling all the unwanted from the outside world (yes, we mean all those viruses, malware and scams), we also thought that it would be fine to have “something” against the unwanted from the “inner” world. So if you need to get the rid of some data from your computer or network, and you need to be sure these data will be destroyed forever (because there is always a lot of sticky-fingers around), you need a specialized software for this operation. And now, you do not have to search for the proper one, because TrustPort has (re)searched it for you. Here comes the TrustPort Disk Shredder! 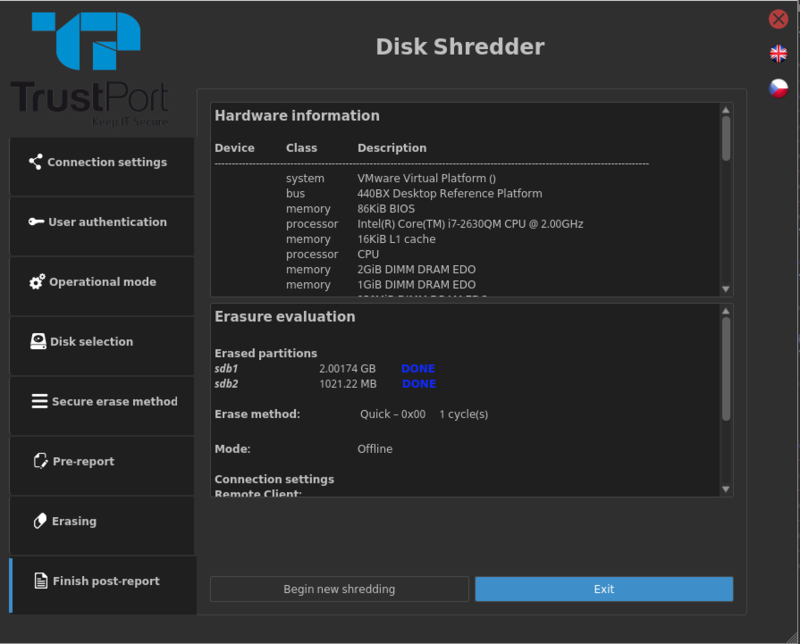 TrustPort Disk Shredder is a data security software enabling a secured and centrally managed erasing of a hard disk or other digital storing device. It´s purpose is to erase the data in a secure way and make them unrecoverable. All shredding takes place by a user of the device (administrator) and all results, shredding reports, configurations, user credentials, etc. are stored on central management server. 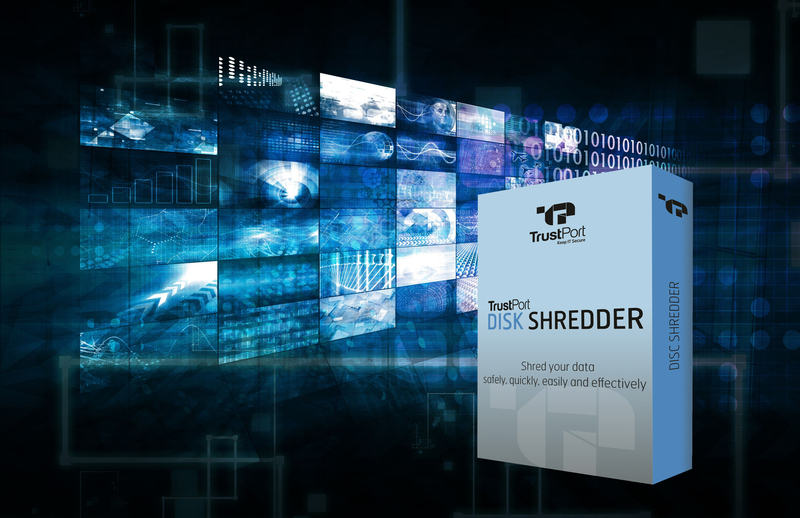 TrustPort Disk Shredder is designed especially for companies with variously wide networks, but it can also do it´s job on a home computer. TrustPort Disk Shredder has been brought to life with the thoughts of making a company´s life with data easier on our mind. Unwanted data occupy a lot of space on drives and also remains on all hard drives even when deleted, and because such data are usually confident, you need to be sure they are erased forever. You cannot do it just by using a trash bin of your computer, you really need an advanced tool for such operations. And that´s why TrustPort Disk Shredder is here. TrustPort Disk Shredder enables you to perform necessary data erasure according to specified needs with getting verified proofs of safe data erasing for eventual company audit purposes. The work with unwanted data is quick and effective in connection with resource and budget allocation making it a solution with many extra benefits for all its users. TrustPort Disk Shredder is light by itself, but you can also purchase a cloud-based option which means no extra demands on an additional infrastructure and you can access the central management only through a safe portal with your authentication. Simply said, with the TrustPort Disc Shredder you get a small, but powerful tool for effective and safe erasure of all unwanted data which will be never restored. 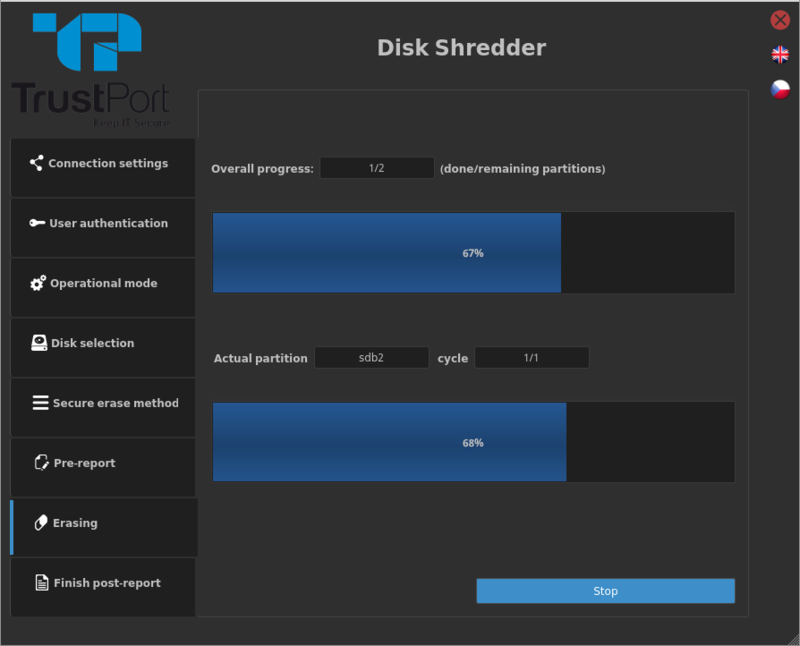 Get more information about this new application HERE and let´s wish TrustPort Disk Shredder all the best!